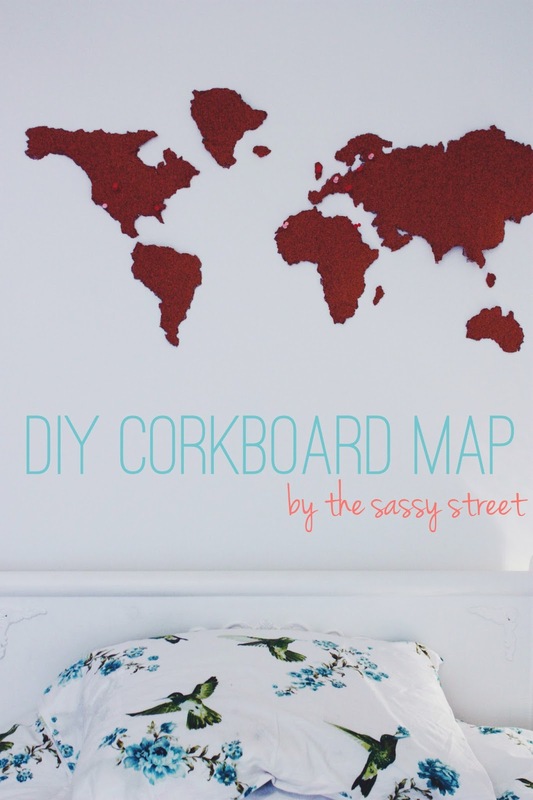 Make your own cork board map! I saw this cork board map on Pinterest from Anthropologie for $54, but I decided to make my own! The rest is super easy! 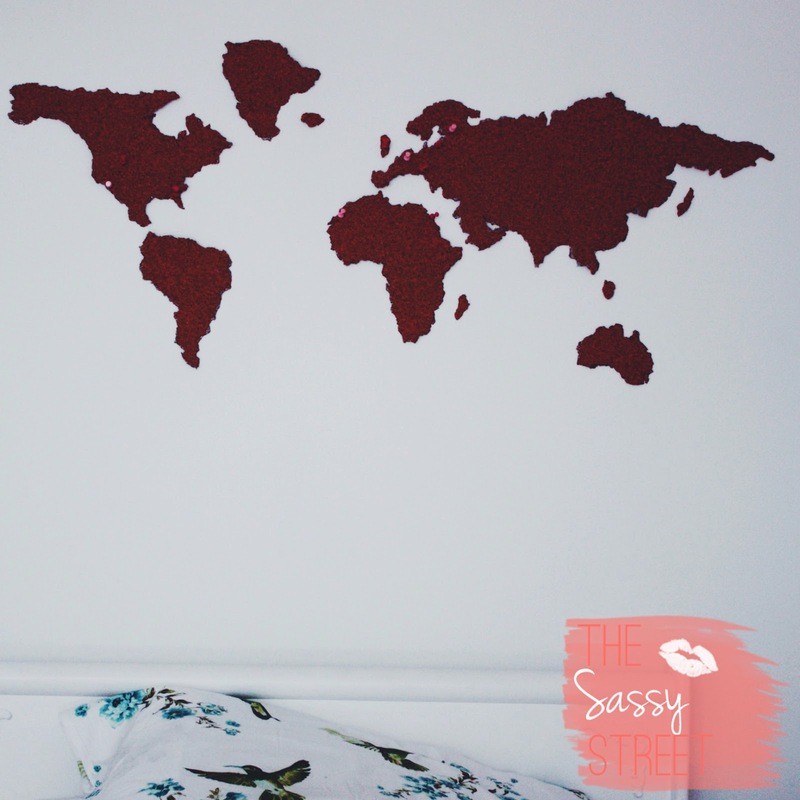 All you need to do now is cut each continent out, it's okay if your cork is crumbly because it really gives an earth-y effect that you want. You have to be a bit picky on what you choose to cut out, but make sure you cut out at least a few islands. It really brings the whole map together. As a final touch, I painted a bit of mod podge (mixed with glitter, of course!) on the edges to keep my cork from crumbling more. Seriously. Amazing. Why are you so cool? So very very excited to see you!! Miss you tons.